The Diploma in Higher Education Studies (DHES) program offers students the unique opportunity of a second chance at tertiary study at Monash Malaysia. 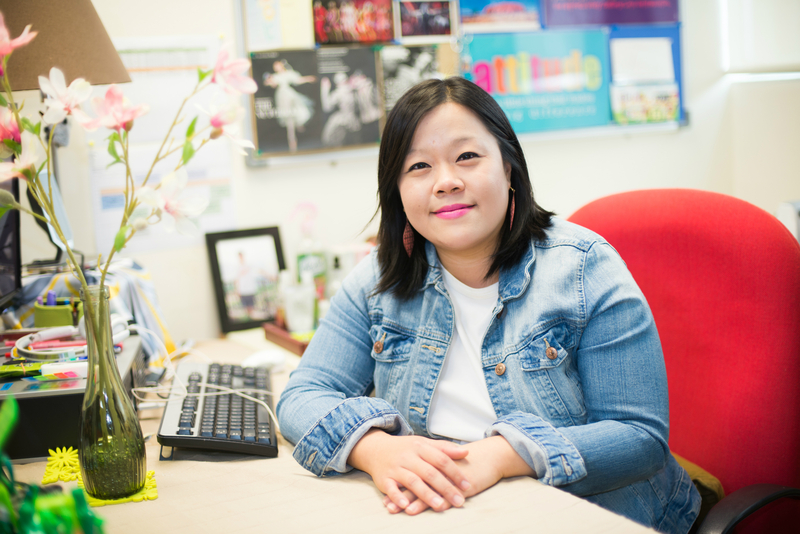 Melissa Wong, Assistant Lecturer and Coordinator of the Diploma in Higher Education Studies at Monash provides insights into the program. Some people wonder, does a diploma in higher education studies mean that I will be studying about education or higher education and about teaching? The answer is no. At Monash Malaysia, we have redefined the title to mean a pathway into tertiary studies. The program is for students who are keen to be a part of Monash, but have just missed the cut. The DHES program is a direct pathway program to selected undergraduate degrees offered at Monash Malaysia. It is designed for students looking at entering tertiary programs in Arts, Business, Computer Science or Science. The year-long program sees students completing eight units – six compulsory in the student’s elected stream, and two first-year core units in academic literacies development. Essentially students will undertake units in their chosen discipline, equivalent to year-one of a corresponding undergraduate degree. This allows them direct entry into the second year of their chosen degree program upon program completion. The teaching and learning of academic literacies development enables students to read and write competently at university. The two compulsory units – Learning in Higher Education and Academic Literacies – introduce students to the world of research and how they can participate in it. Students learn to locate the most reliable and reputable sources of information, a lot of which are available through the Monash Library, and also to distinguish between trustworthy and dubious information on the Internet. Students also acquire academic reading and writing skills, essential for academic success. Many students think reading is simply processing words from the left to right sides and from the top to the bottom of the page, in a repeated fashion. However, academic reading in higher education is much more complex. Students must be able to skim and scan academic texts quickly to gain the information needed, or to read comprehensively in order to understand the text completely. They should be able to distinguish which methods work best and when to use them. Students are also taught to think critically about any reading text and to question the nature of the information contained in them. Academic writing is a complex skill that requires students to recognise different academic genres and write to produce written texts mimicking scholarly academic texts. First-year students need to orient themselves to writing using the academic register that is the tone often employed in academic writing in higher education, and to the structures and formats of academic texts. Once they have gained such competencies, they may find writing for assignments and other assessments much easier. The DHES program ensures students develop these useful skills, so that they can eventually easily transition into their second year of a bachelor program. The ability to think, read and write critically is also skills prized in many workplaces and are valuable lifelong learning skills. A unique aspect of the DHES program is the mentoring service available to students. Students meet with academic staff who would assist in identifying learning hurdles and develop strategies to overcome the recognised learning difficulties. The mentor checks in with them periodically to ensure that they are coping with the rigours of university learning. A graduate of the program shared the value of being given another opportunity to learn at Monash. The pressure of a strict and failure-intolerant environment in his home country got to him as a teenager. Due to intense competition, he missed out on an opportunity to enter university. Attending pre-university in Malaysia, his scores ultimately fell just below Monash’s entry requirement for a Computer Science degree. He undertook the DHES program and has since completed it and is now thriving as a degree-completing student. Young people in particular should be given the message that failure is a part of life, and that it is important to learn to become resilient in the face of setbacks. And, when it comes to learning, there are never dead ends.